Now that you’re into the stage of running your school business, it’s really important to keep track of your finances! This blog explains the process of record keeping and why it’s crucial to the success of your business! So what is record keeping? Record keeping allows your school business to keep track of the money coming in and out of your business. You can think of record keeping as a financial health check. 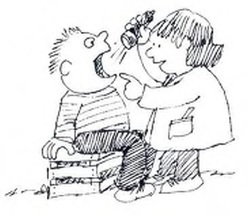 When we want to know the state of our personal health, we go to a doctor. If we want to know our business’s financial health, we check the businesses financial records! Why should I keep financial records? See how much income you are generating and at which times of the day/week/month/year you generate the most. See if money is owed to you and how much. See which of your products/services is making the most profit, and which is making the least. Good financial recording will provide your business with information that will allow you to grow and nurture your business. But don’t just take our word for it! Check out what other schools in the School Enterprise Challenge have done with their financial records! Lusoti High School students hard at work on their business. 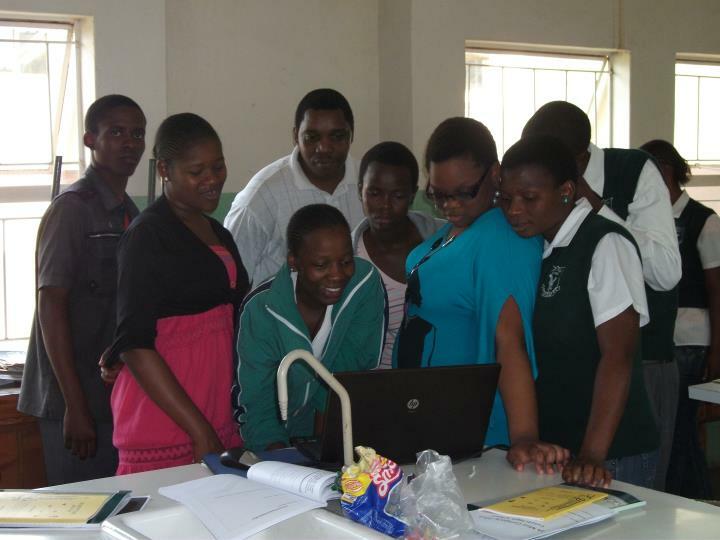 Lusoti High School in Swaziland won a prize in the School Enterprise Challenge 2013. The success of their agricultural business was built upon their commitment to accounting and record keeping. The team created three accounting positions: a financial manager, a sales accountant and a cost accountant. These team members helped the business to run smoothly and provided information which allowed them to produce an economically viable business. From good record keeping they were able to see that they could sell their produce at 50% of their competitor’s price but still run at a healthy profit! Awesome! It’s not just businesses that can benefit from good accounting and record keeping. Setting up accounting systems and practices for your school business offers a great way for young people to learn about finance, providing them with the knowledge and skills they need to manage their own money for life! All School Enterprise Challenge participants have been sent a NEW Guide to Accounting and Record Keeping so check your email NOW. The guide provides a step by step guide for setting up your own financial records and has a number of useful templates that provide a fantastic starting point for any school business. For more information read the guide, or email info@schoolenterprisechallenge.org. This entry was posted in Uncategorized on November 27, 2014 by School Enterprise Challenge. The School Enterprise Challenge Team Celebrate Global Entrepreneurship Week 2014! This week is Global Entrepreneurship Week, and this year’s focus is on making new contacts. In celebration, everyone at The School Enterprise Challenge is busy getting connected, and you too can get involved with our mini-competition to GET CONNECTED! 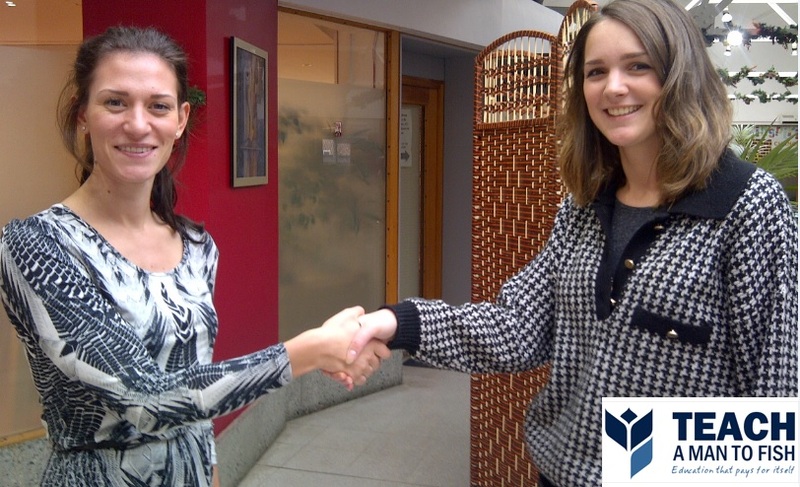 Marie and Beth got connected at the Teach A Man To Fish office where we run the School Enterprise Challenge. Here they are participating in Global Entrepreneurship Weeks ‘handshake selfie’. Marie has a degree in design and Beth knows someone who is looking for a qualified designer to support their local business! A win-win solution for everyone! Getting connected and having the confidence to network and ask for support are key skills for any budding entrepreneur. What are you going to do to Get Connected? This competition will help you to build new contacts and share experiences, achievements and barriers to success. Knowing where to find support for your business when you need it is a very important skill. Students at Eleven Green Club coming together to encourage and support other schools to talk about the environment. Eleven Green Club has been making new contacts with other local enterprising schools and businesses, sharing stories about their environmental work and helping others to follow their work. Students at UDAAN participating in events to celebrate Global Entrepreneurship Week 2014. Students talked about previous students who had gone on to set up their own businesses! Whilst Udaan – Creating Identity has held a creative discussion on the importance of entrepreneurial skills and starting your own business, sharing a few successful case studies of students who started their business when they were in college. These are just some of the ways you can get connected this week and in the future. We want you to get connected and join our competition. Whether you are getting connected to other enterprising schools through social media, local business or your local community let us know what it is you are doing to participate in Global Entrepreneurship Week!! We will showcase some of the most innovative ways of Getting Connected on our social media so you get even more positive coverage for your school business! All School Enterprise Challenge participants have been sent an EXCLUSIVE Global Entrepreneurship Week guide. Check your email NOW for details on how to enter our mini competition! You can also email info@schoolenterprisechallenge.org for more information. Winners will be announced on our Facebook page and will receive a School Enterprise Challenge certificate! So what are you waiting for Join us and GET CONNECTED TODAY! This entry was posted in Uncategorized on November 19, 2014 by School Enterprise Challenge.